If time is money, then ENDURO-FLEX TURBO™ is worth its weight in gold. 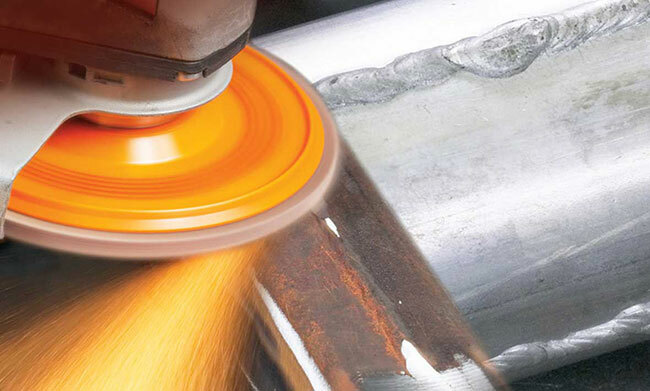 This extremely aggressive flap disc removes material like a 36 grit but leaves a 60 grit, paint-ready finish, saving you a valuable step in the finishing process. The innovative backing pad design allows air to cool the work piece, increasing product life and minimizing heat transfer to the surface. 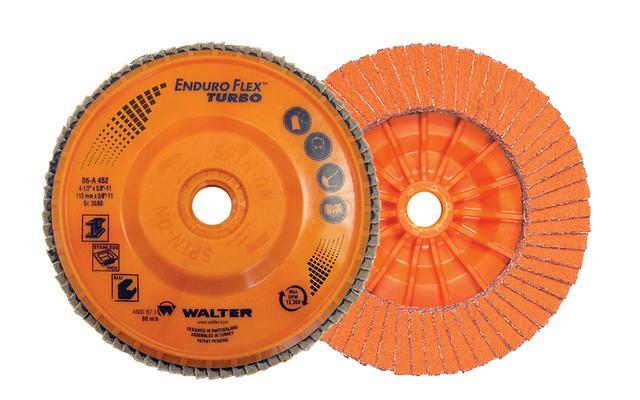 Whether you are working with steel or stainless steel, ENDURO-FLEX TURBO™ will help you blend welds and break edges faster, guaranteed.